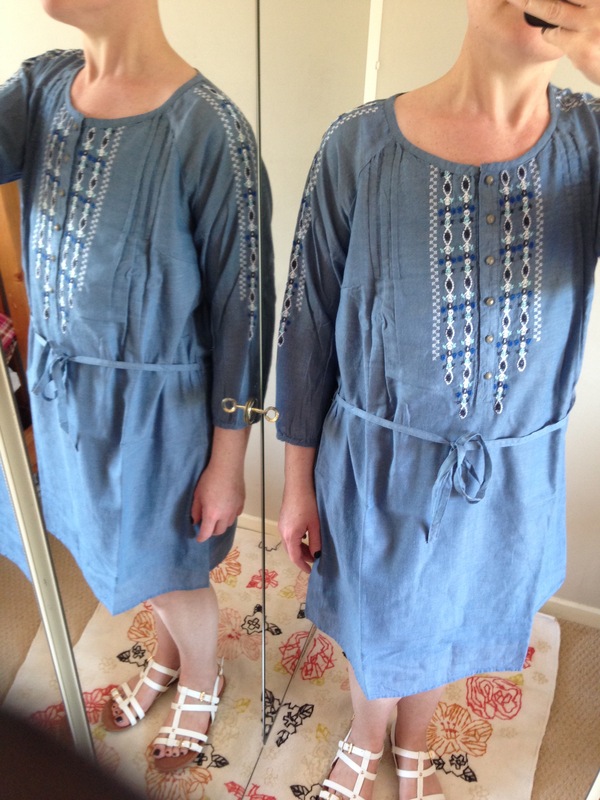 This blog is all about dresses (mainly because the few tops which I ordered were gypsy style and nothing unusual so I haven’t included them; everywhere has boho covered this year so I didn’t think we needed any more here this year!). 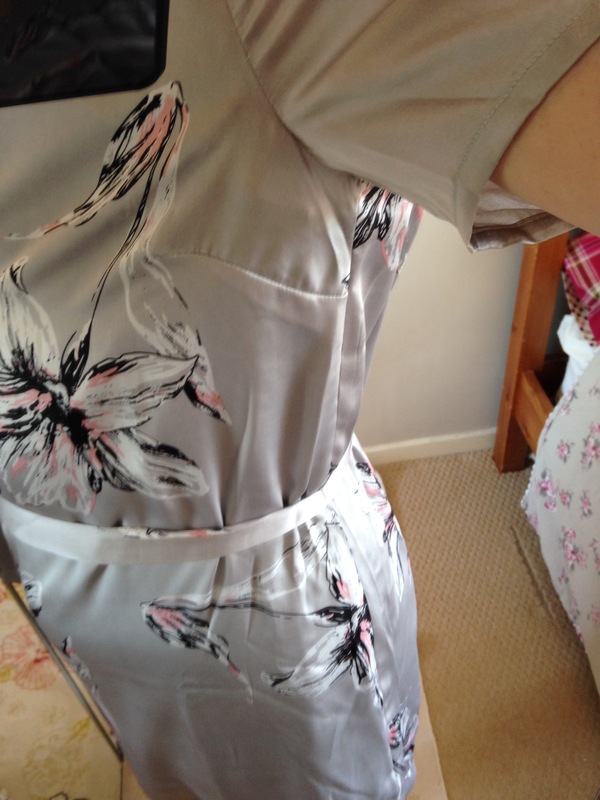 La Redoute’s sale started after I had returned this order so hopefully anything that you like below is still available…and a bargain to boot! 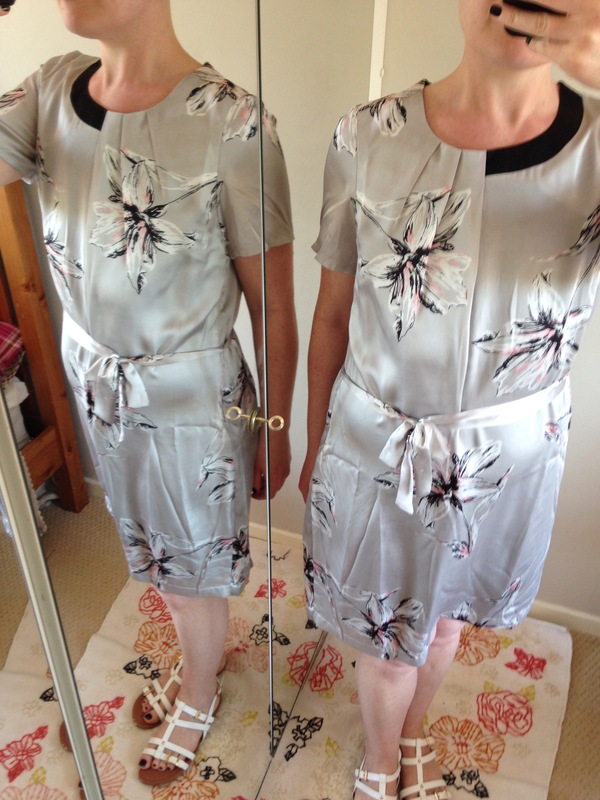 I am going to start this post with a few dresses which I picked because they have an assymetrical design so may suit you if you have had a single mastectomy. 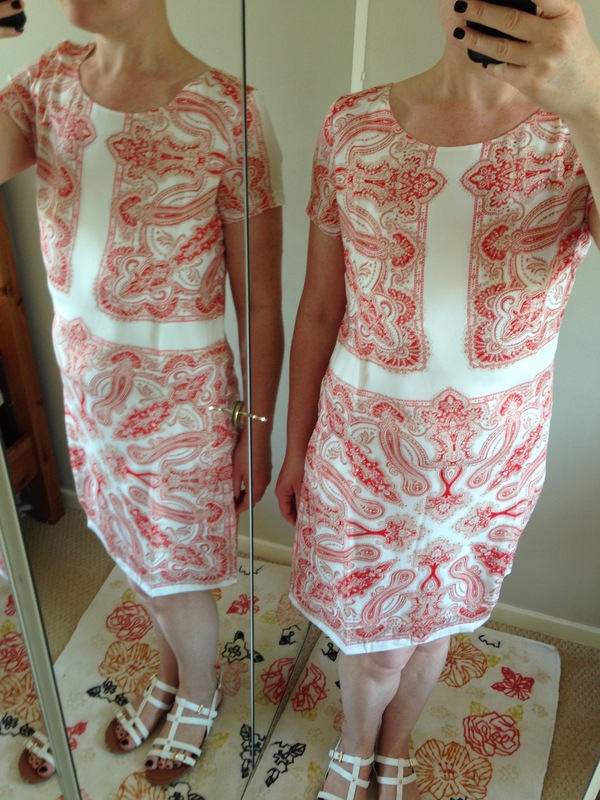 Verdict: Pleated front flatters a flat chest and the pattern down the right side of the dress adds contrast and decoration; I imagine that this would look best if it decorates your mastectomy side. 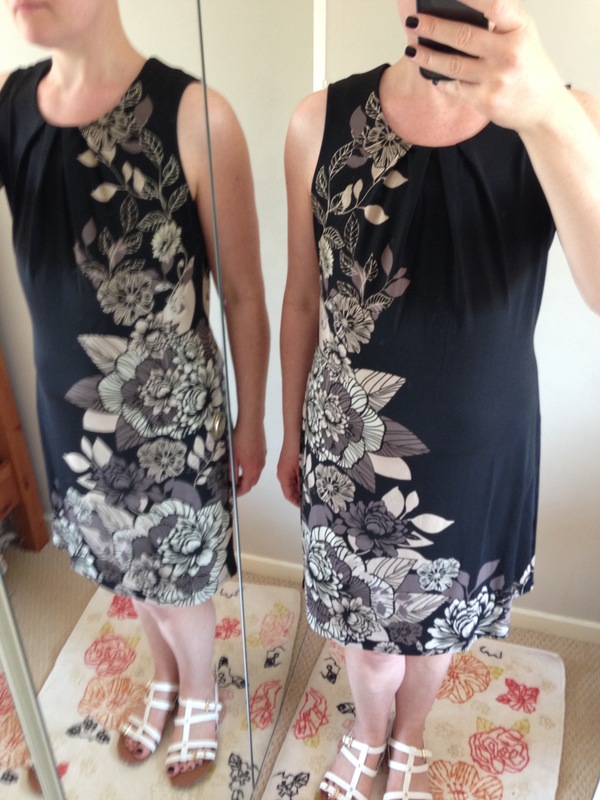 Verdict: Great ‘occassion’ dress. 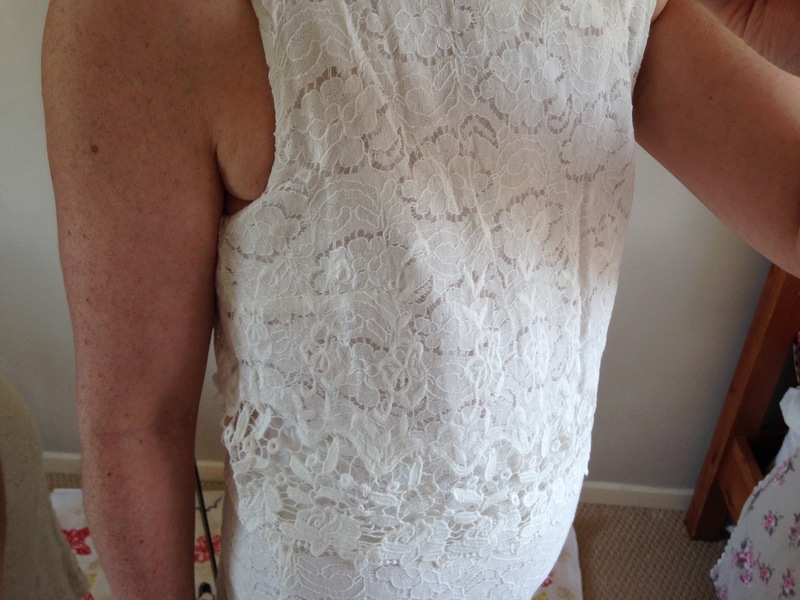 This dress has bust darts but the frill conceals these even on my flat chest and the one-shoulder frilled design make this a good option if you have had a single mastectomy, particularly left-side. 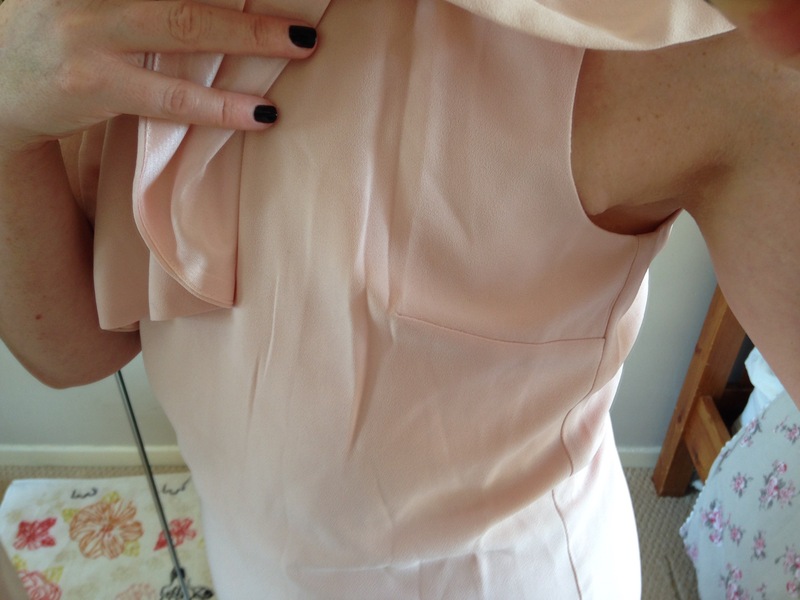 Verdict: A great dress if you have had a left-sided mastectomy with a flattering draped shawl of fabric from the left shoulder. 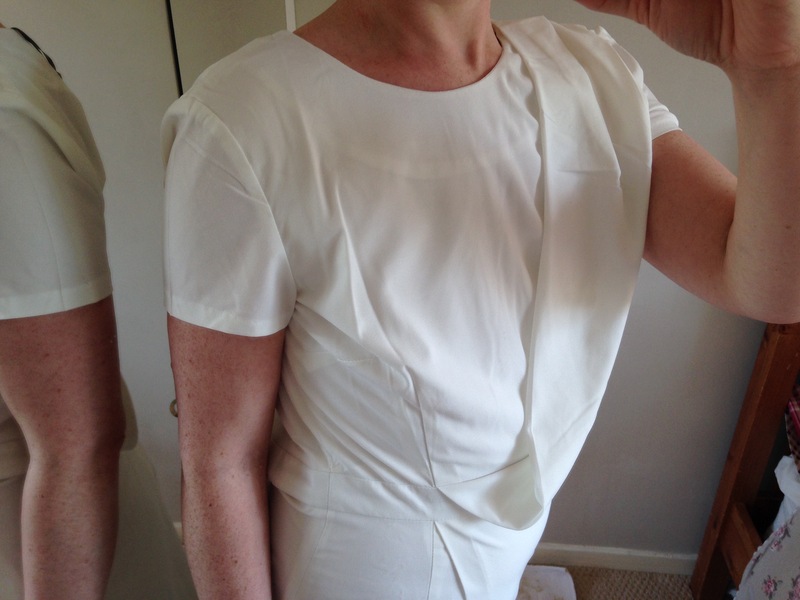 Darts from the waist and side seam make this unsuitable for a right-sided flat chest. Verdict: Suitable for everyone (I think!). 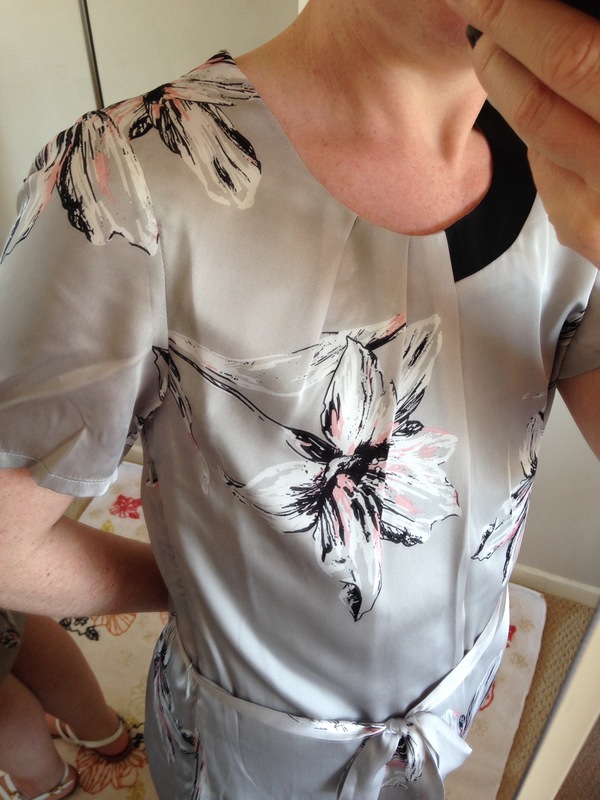 This ticks lots of boxes: floaty satin fabric; bold pattern; tie-belt and contrast neckline adds interest; pleats from the neckline adds volume, and sleeve length adds width across the chest. 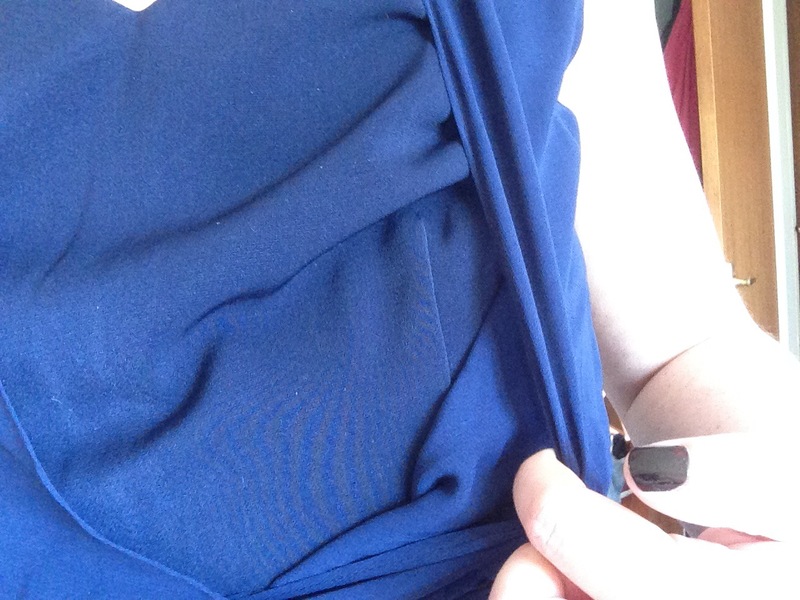 The light fabric means that the darts do not affect how this dress hangs. 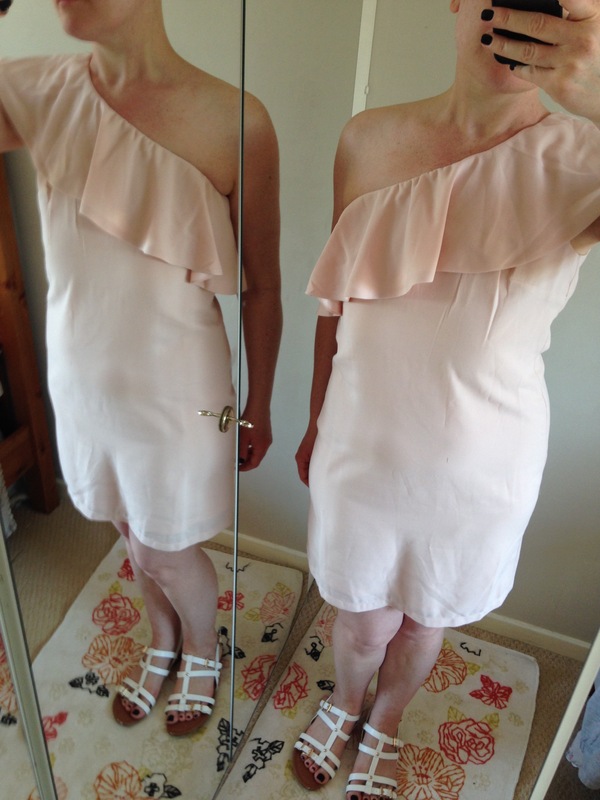 The pleats fall on the right-side but I think regardless of which side you have had your mastectomy this dress could suit you; it also suited my bilaterally flat chest. 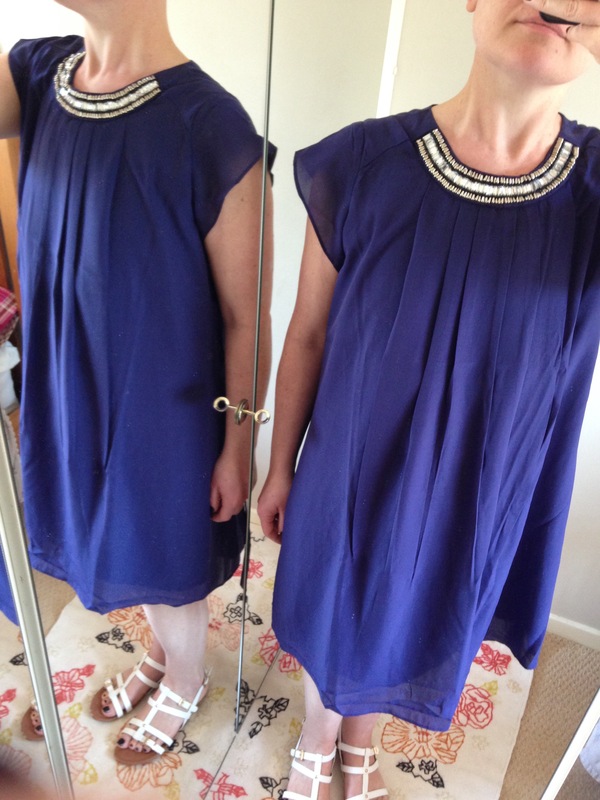 Verdict: This dress isn’t assymetrical however, under the draped layers this dress has darts and has enough volume in the chest that I think this would suit you if you have had a single mastectomy. Really flattering dress. 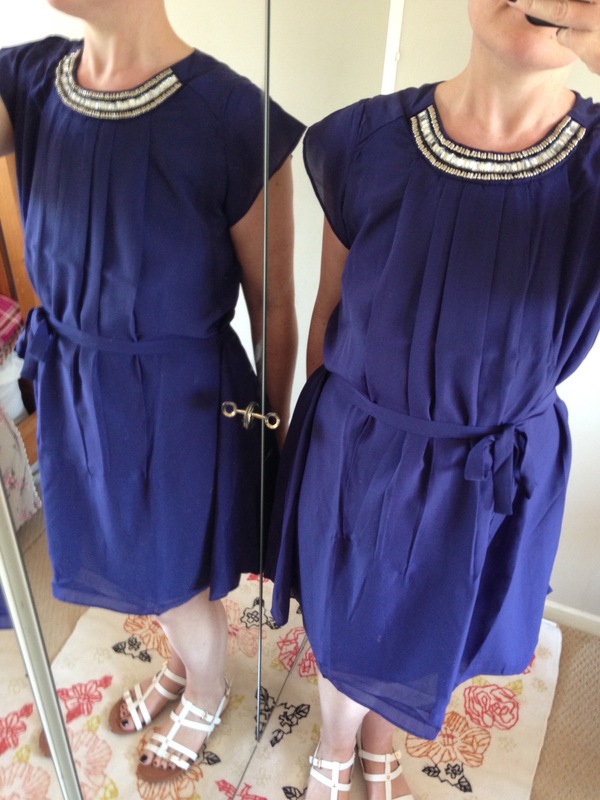 Verdict: Pretty beaded neckline draws attention, capped sleeves add width, and the pleated neckline and floaty layered chiffon fabric make this a flattering dress whether you wear with a belt or without. 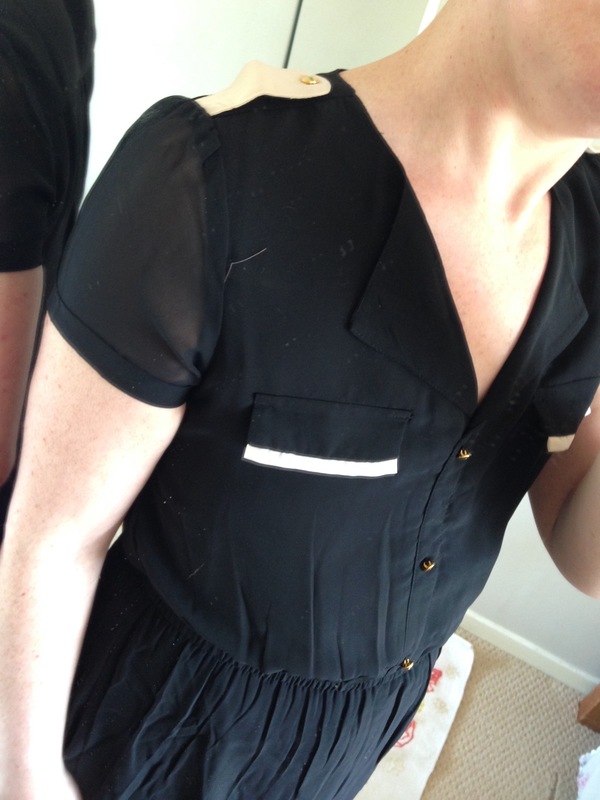 Verdict: A great dress if you have a straight body shape. 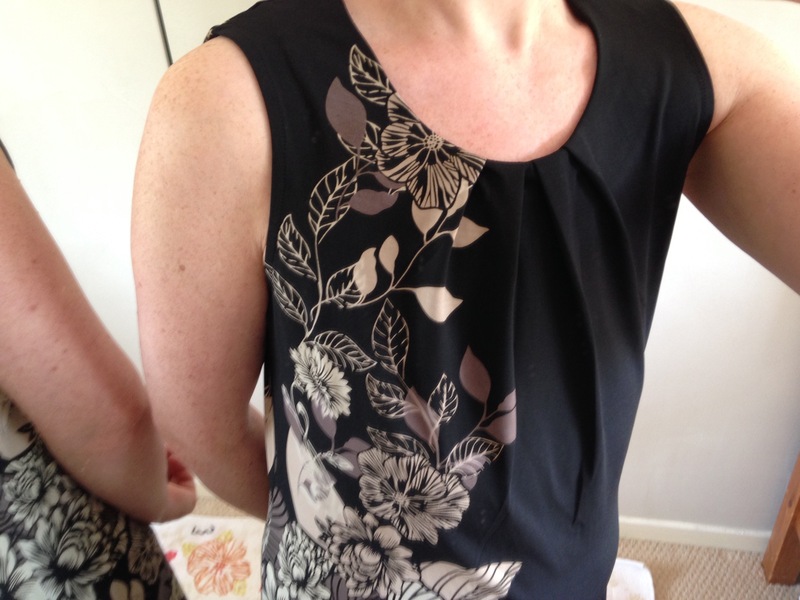 The panels accentuate your waist and create interest across the chest. 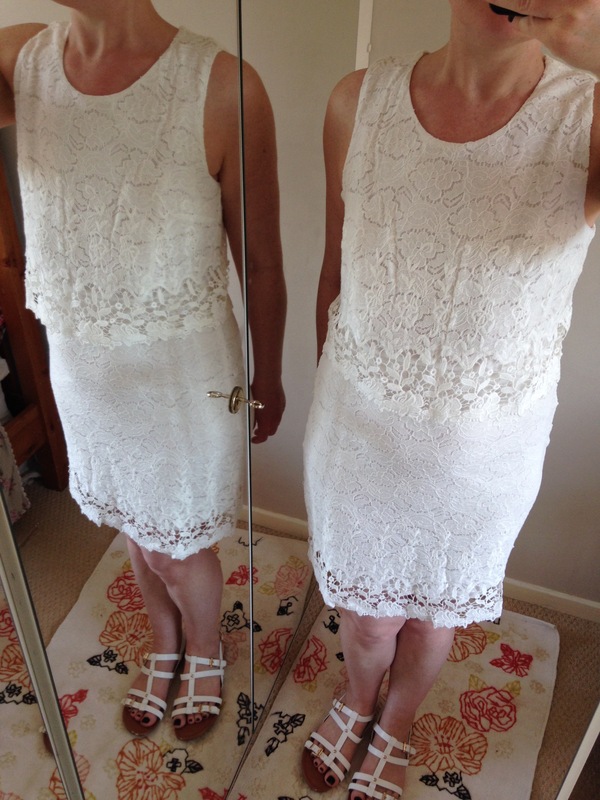 Verdict: Really pretty dress with a 2-in-1 effect layer of lace which adds depth. 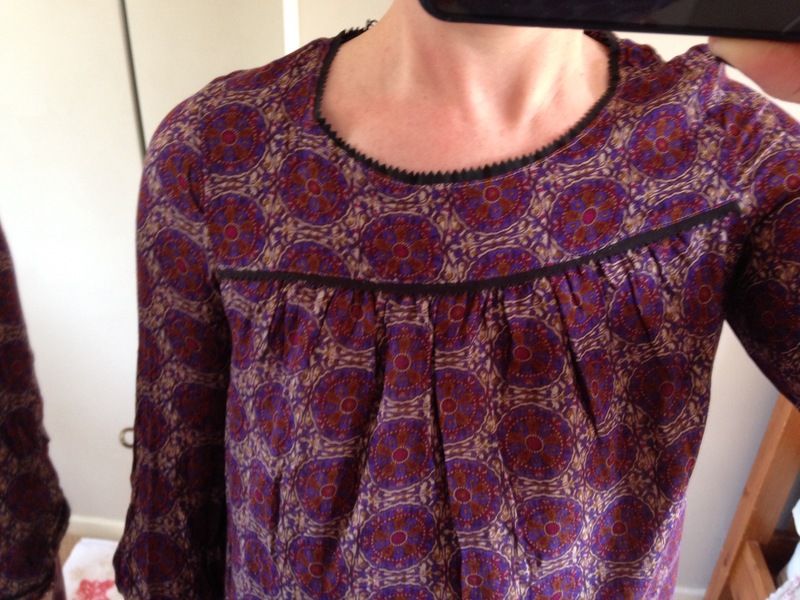 The bust darts are not noticeable and probably help create space in the top layer of fabric. 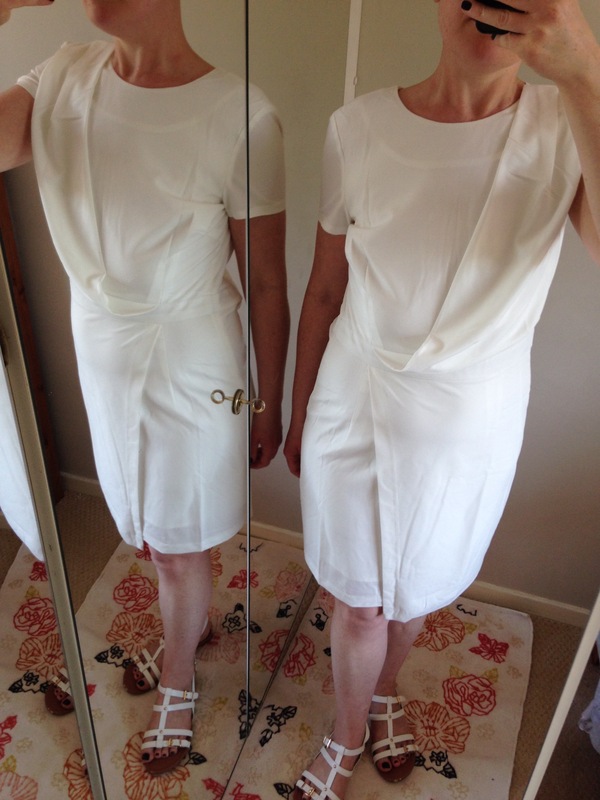 Verdict: Another flattering dress: the collar and breast pockets add depth and interest; the gathered waistband and floaty material create volume and movement and the sheer capped sleeves add contrast and width. 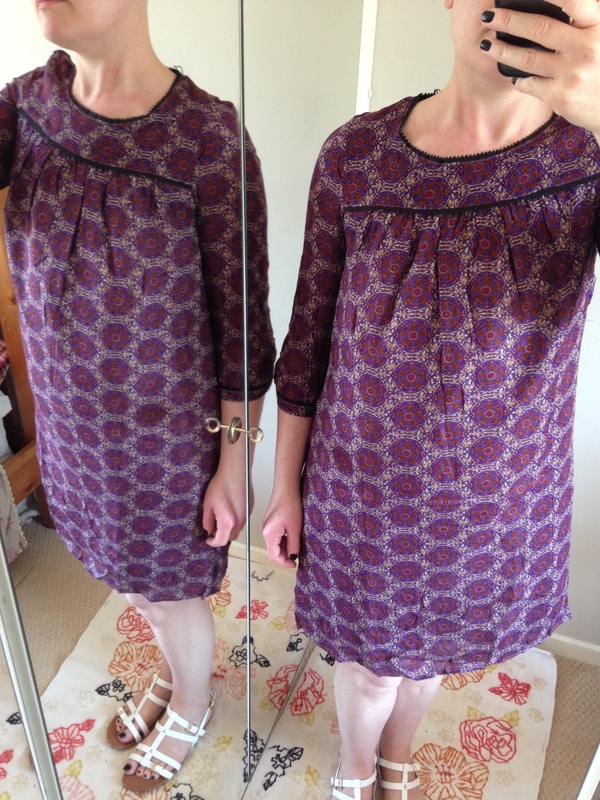 Verdict: This dress has lots of ‘flattering flat’ features: embroidery and pintucks on the bib and to add decoration to the chest; pleats from the pintucks to add movement, and a tie-belt which you could wear much tighter around the waist to create volume or leave looser to skim over the hips. Verdict: I really like this fabric, gorgeous colours and tile print. 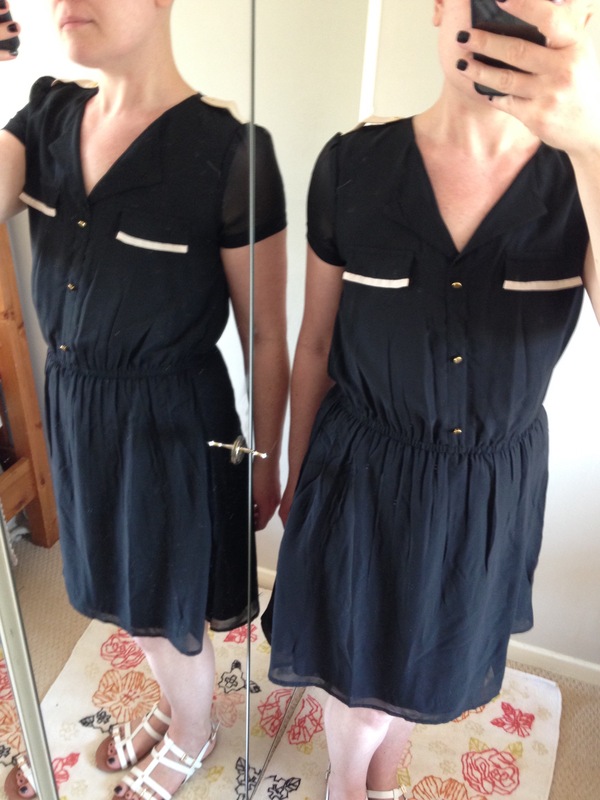 A really simply cut dress with a flat yoke and pleated dress below which is really flattering if you like an A-Line cut which skims over your tummy and hips. 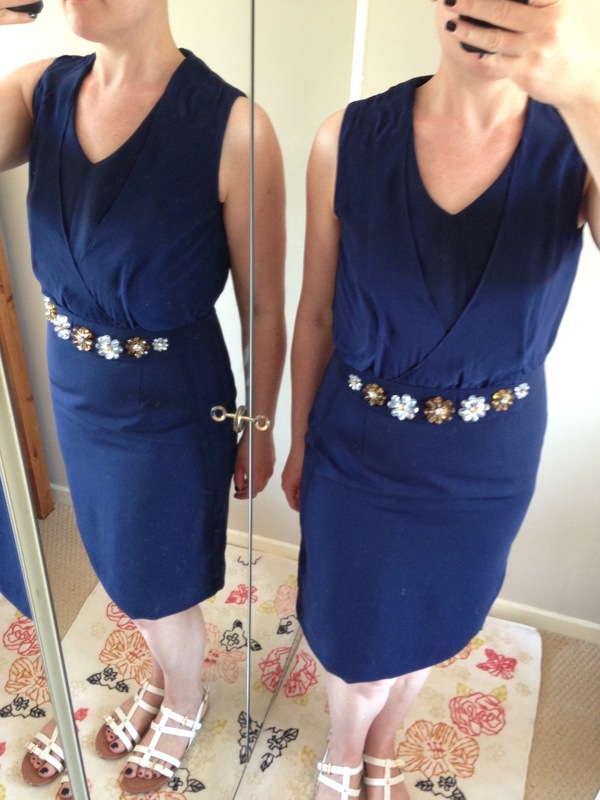 It could easily be cinched in at the waist with a this belt to add more volume across the chest.